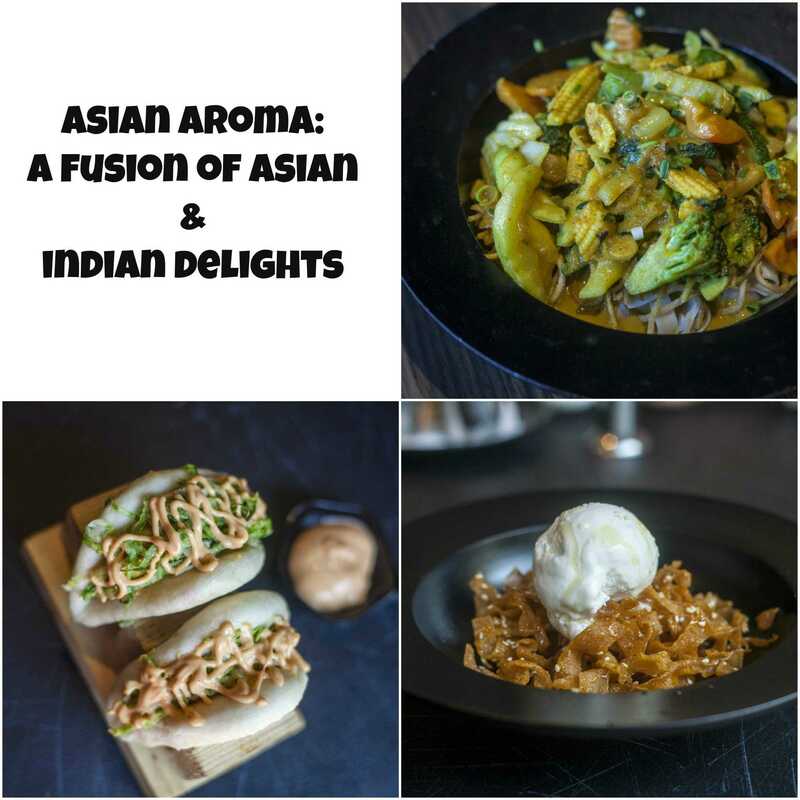 If you read the name of the restaurant - Asian Aroma and got confused by the caption I had beneath that where I have mentioned North Indian cuisine, well you are not alone. I walked into the restaurant to be greeted by Paneer Tikka. 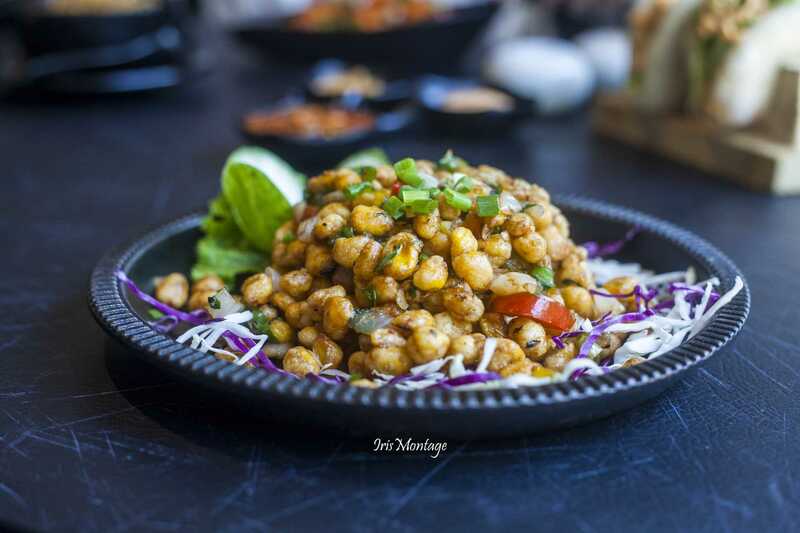 This is a pure vegetarian restaurant that serves some one-of-a-kind dishes. Located on Spur Tank Road, right beside the big Grand Sweets and opposite to the Tuberculosis Hospital, Asian Aroma is pretty easy to locate. The location on Google is spot on (even though it did not get picked up on Ola) and you should have no trouble finding it. Very classy minimal interiors, with shades of black and grey being the keynotes. I loved that they served in black dishes and the tables were also mostly black or brown. There is one huge window and that brings in a lot of light. It is definitely a great place for either an intimate dinner or a family one. We tried Kong Mojito - a regular lemon mint ginger juice, Ginger Lemon Cooler and the chef's special - Summer Cooler. 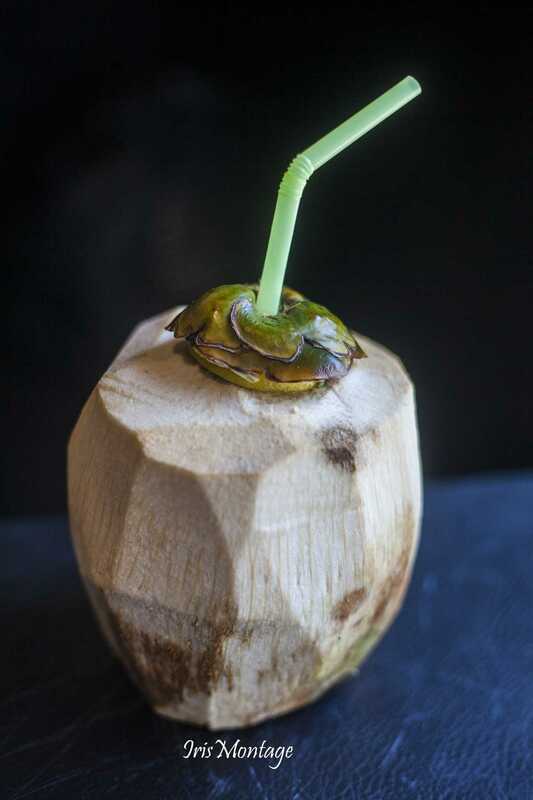 The Summer Cooler is a tender coconut based drink served in a tender coconut itself. 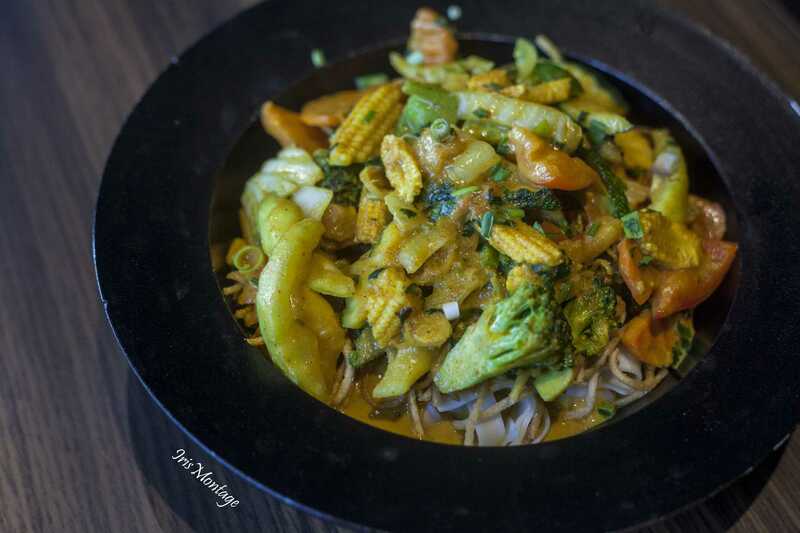 Noodles in Atlantic Soup- is one of the chef's special's at Asian Aroma. 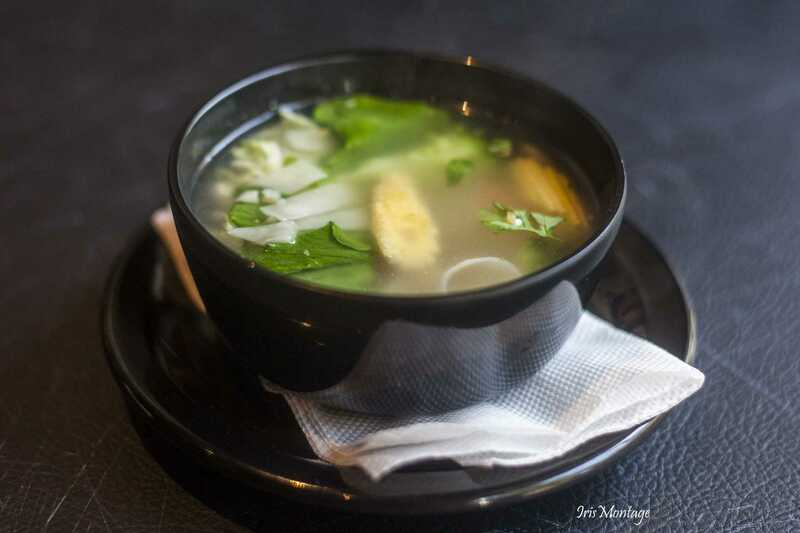 A clear soup with flat noodles and well cooked vegetables in a mild broth that had just the right hints of chilli. Not too spicy, it can be given to children as well. 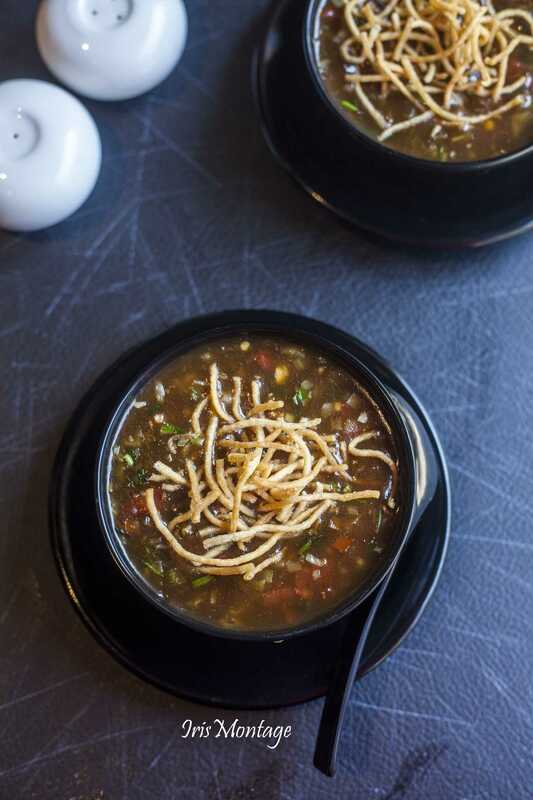 Manchow Soup- If want something a bit more flavoursome and spicy, then go for the manchow soup which is thicker and comes topped with crispy noodles. 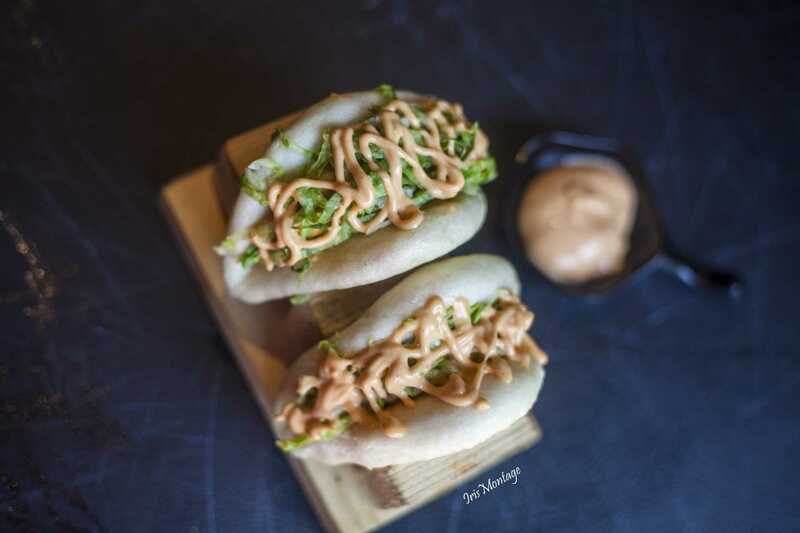 Bao Tofu- The Bao bun leaves a sweet flavour and is filled with tofu and I think it was mayonnaise topped with crispy lettuce. Very mild, and I loved the way it was served. If tofu is not your thing, no worries, there are other variations to choose from. 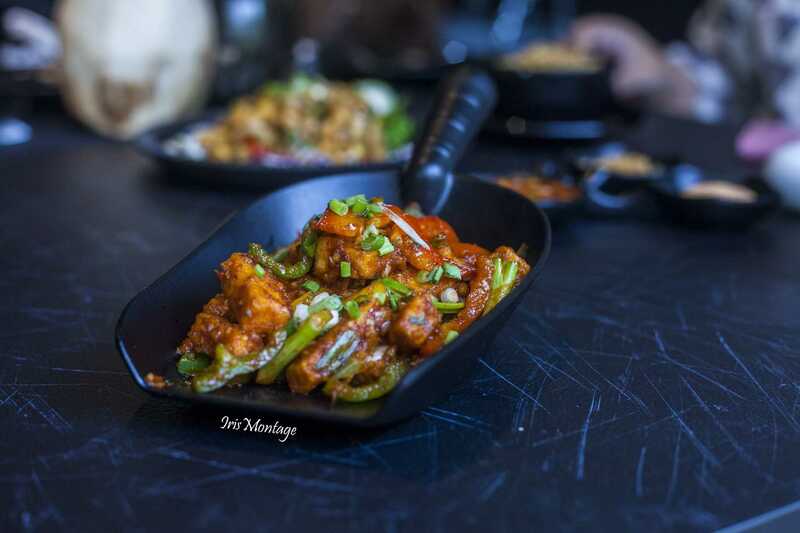 Sweet and Tangy Tofu- Lover of spice and all things nice, well this is the dish for you.I think even non-tofu lovers, would like this because the flavours just mask the fact that you are eating tofu. 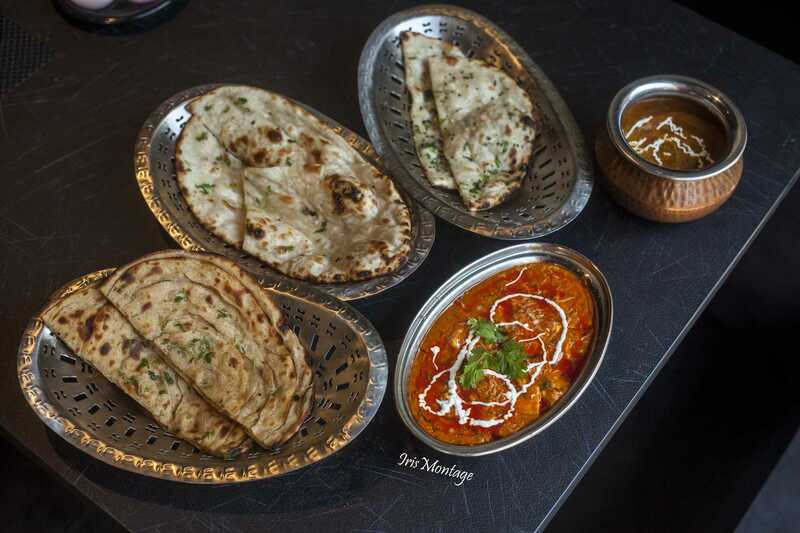 It is spicy,and tangy and totally appeals to the Indian palate. Water Chesnut Dimsum.- Sort of bland and the sauce that came with this was sweet. I would have preferred a spicy one. Having said that, I think it was well made and cooked thoroughly, just lacking some flavour. Paneer Tikka- was the first starter that we were served, and boy did we dig right into it. Absolutely soft paneer, well done, and not a very strong tikka masala. This was the only dish that we all requested to be served again. Pepper Corn- is yet another favourite starter available on the Asian Aroma menu. I honestly would have liked for it to be a bit more peppery and less chewy. Chilli Paneer Dry - Very indianized flavours, even though it was in the Asian part of the menu. It has flavours that have more of a masala tinge than the Paneer Tikka. Special Lalla Musa Dal- This is like dal makhani but so much more tastier and a lot creamier. This was absolute love and I pretty much ate a bowl of just this. We tried Laccha Paratha which had wonderful soft layers. The butter kulcha and butter naan were also good. Honestly we were so full by the time we hit the main course. 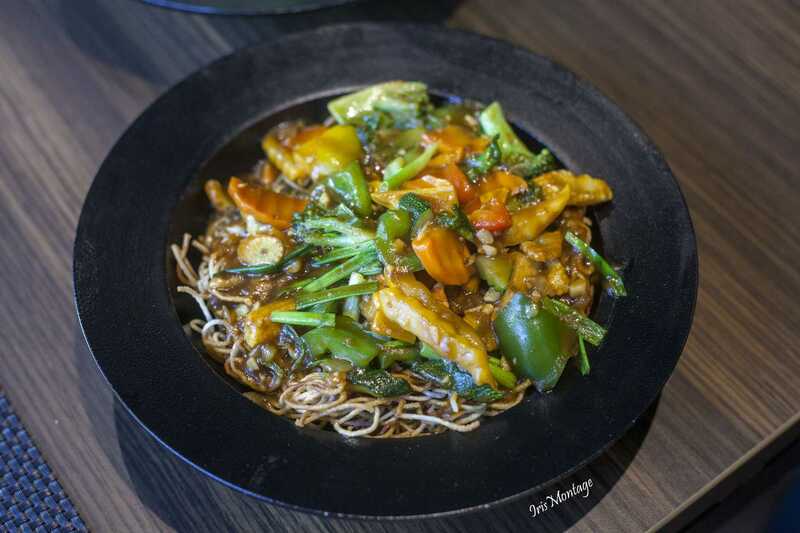 Topped Mandarin Chow-Double fried crispy noodles with a Manchurian sauce. 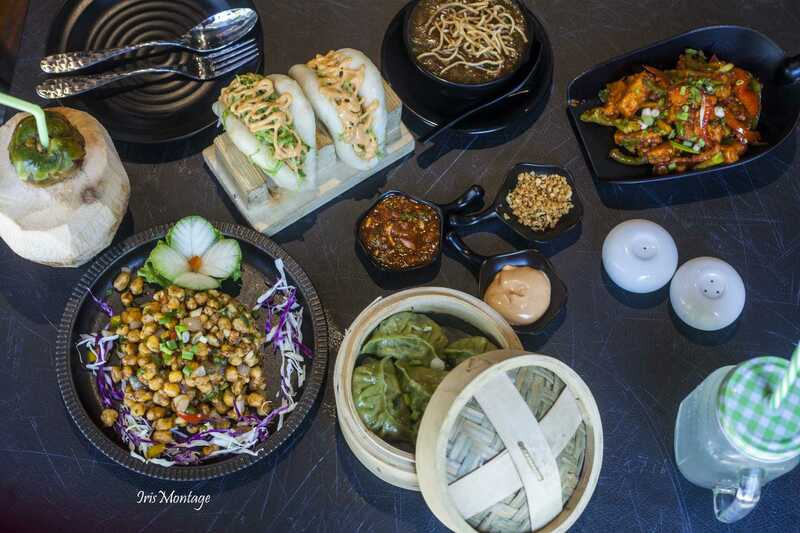 If you love the Indian Chinese flavours, then you will really enjoy this. Since it comes covered in manchurian sauce, you really don't need any gravy to go with this. Rangoon Chity Chow- A special dish from Burma, this was definitely my favourite. It was a lot milder than the Mandarin Chow, but filled with subtle flavours that play on your palate. I would definitely recommend you give this a try because it is not like your regular Asian cuisine. 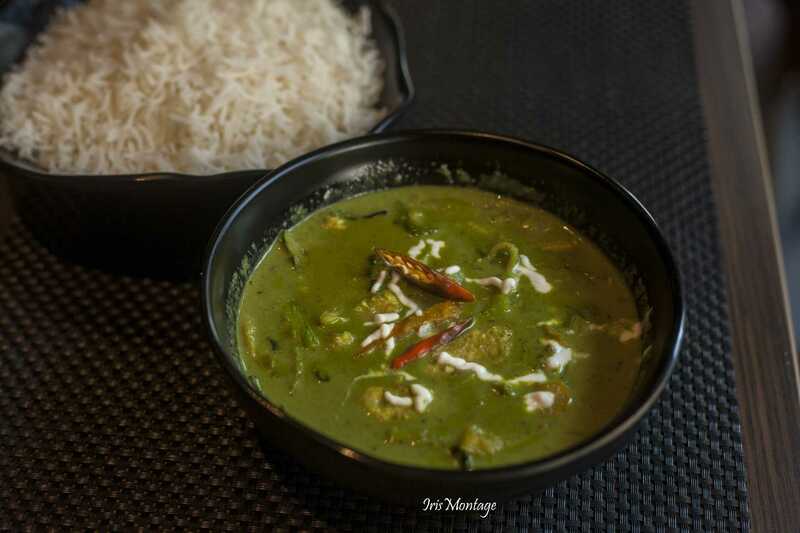 Thai Green Curry with Steamed Rice- Usually I am not a fan of Thai curry because it is filled with coconut flavour that can be a bit overwhelming. I was pleasantly surprised at how well the flavours were balanced here I truly enjoyed it. After all that eating, the fact that we managed to eat dessert was indeed commendable. We had the traditional Darsan with ice cream. 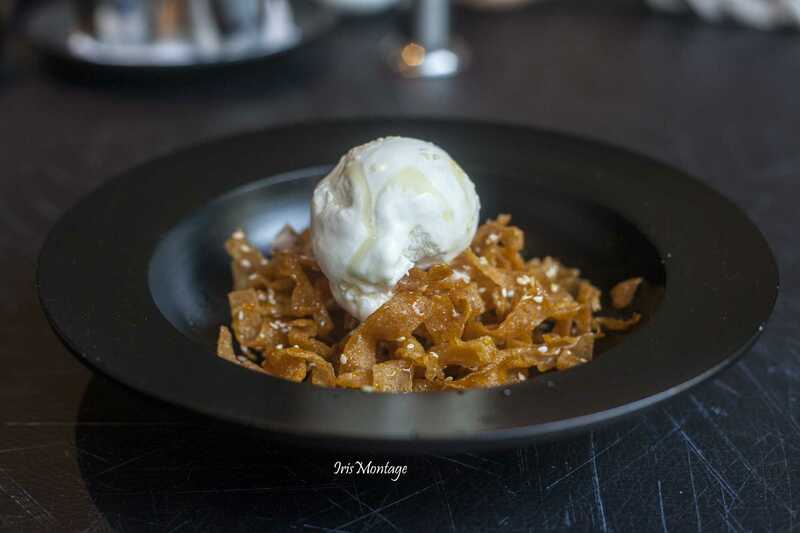 If you are not familiar with Darsan it is flat noodles that are fried and coated with honey, served with vanilla ice cream. 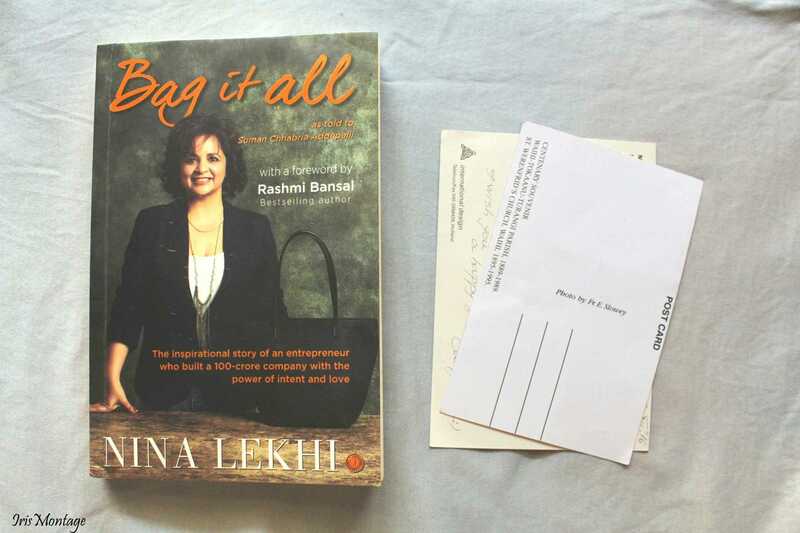 The pricing is does not damage the wallet much and the quantity served is more than sufficient. Do let me know if you visit this place. I would love to know what you enjoyed trying. Make sure to follow IrisMontage on Instagram and Facebook for regular updates. 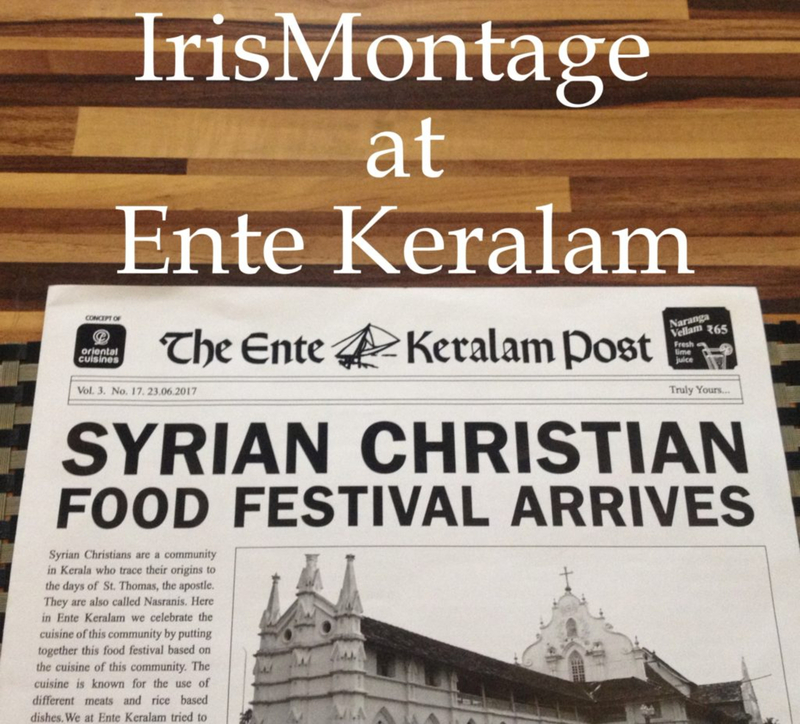 And oh subscribe to IrisMontage via email to get notified every time there is a post published here. All images were clicked by Purni of Purnis food blog. *Disclaimer- We were invited to the restaurant to try their menu and write all about it. However the opinions expressed here are absolutely honest.